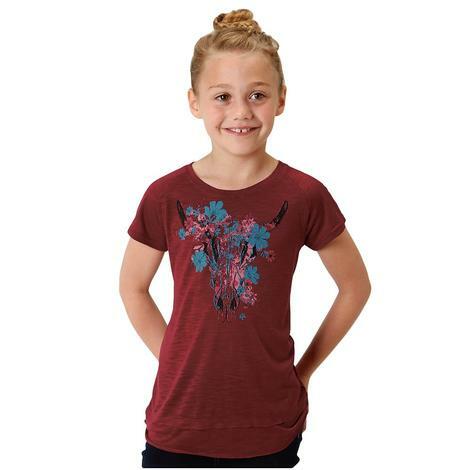 This cute and fun Roper Red tee featuring a cow skull and flowers can dress up your little girl in no time. With a scoop neck and raw edge details this raglan sleeve tee is designed for comfort and style, Available sizes S-XL. 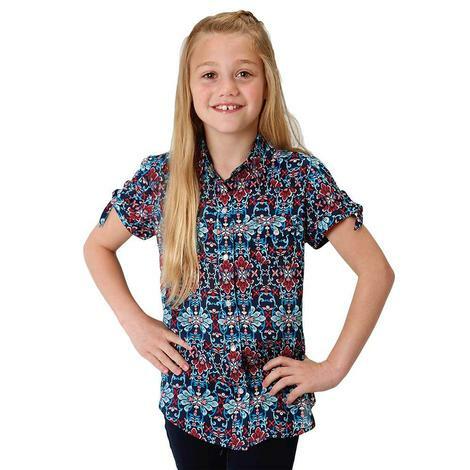 This girls shirt by Roper is the perfect shirt for this season! 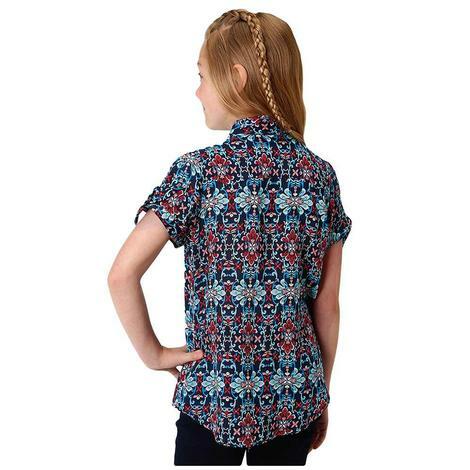 It is a stunning sunset tapestry printed western shirt that she can wear anywhere that she is going to be comfortable and confident. All true cowgirls need the perfect pearl snap shirt, and this is the one she wants! 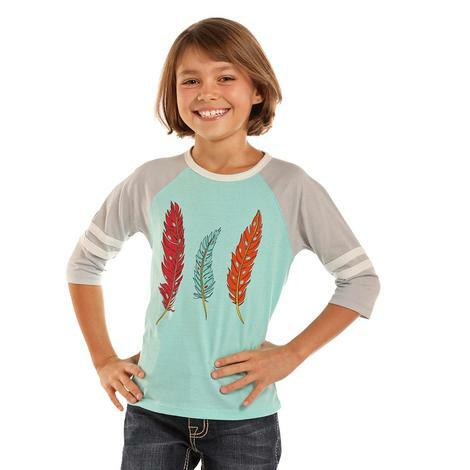 Teal baseball style shirt with 3 feather graphic print on the front. Made from a blend of 60% cotton and 40% polyester. This shirt by Wrangler is grey with long sleeves and lace. 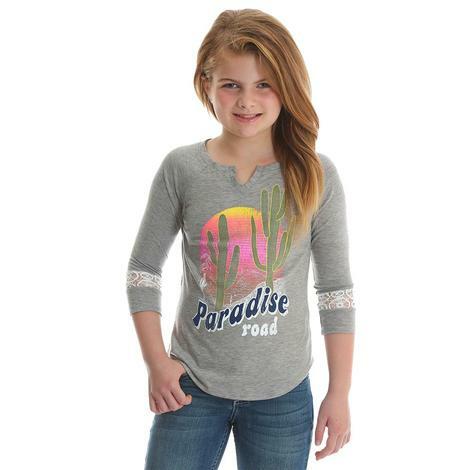 Paradise road with a cactus sunset is printed on the shirt. This royal blue t-shirt by Cruel Girl features an Aztec styled thunderbird graphic on the front in white and turquoise. The back and sleeves have horizontal turquoise stripes.